For some, Halloween is all about the candy. For others, it's more about causing trouble. There's nothing wrong with a good laugh, but no one wants to be the target of a prank that will entail lots of cleaning later. So if you don't want to get egged or TP'ed, why not put out a camera so you can see them coming? 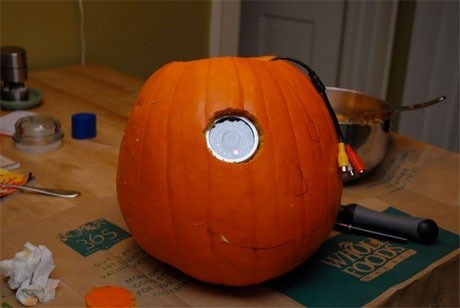 Even better, add some Halloween spirit by putting it inside a pumpkin like Glenn Derene of Popular Mechanics did with this DIY surveillance pumpkin. All you need is a pumpkin, some carving tools, and a wireless camera. 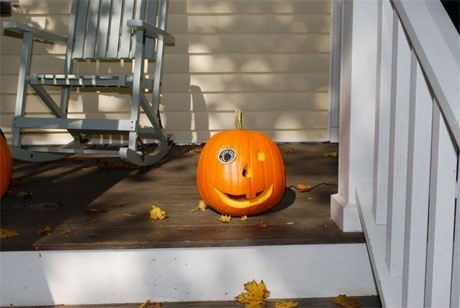 After removing the top and insides of the pumpkin, Glenn carved the jack-o-lantern face, tracing the camera so that it fits into one of the eyes. 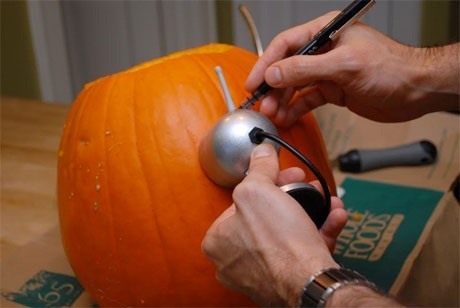 He also cut a hole in the back of the pumpkin for the wire to exit through. 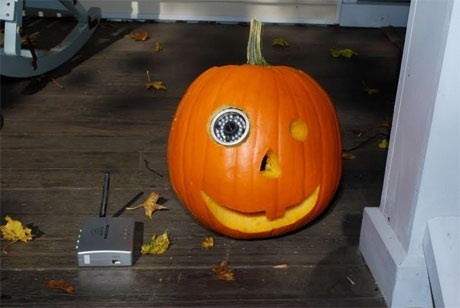 Now, all that's left to do is connect the camera to a router and aim the pumpkin in whichever direction you want to watch. That's all there is to it. You can check out Glenn's article for more details and photos. Now you can keep tabs on what's going on outside without interrupting your Friday the 13th marathon. Just be sure to be on the lookout for pumpkin smashers!